The Paul Bright Gallery, originally uploaded by funkaoshi. 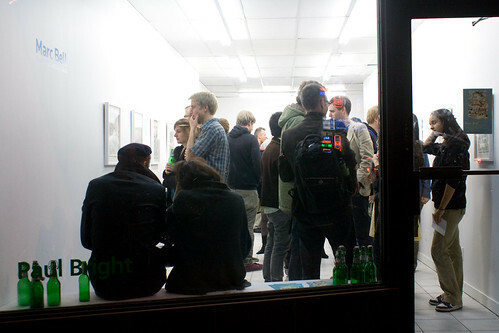 The Paul Bright Gallery opened up on Bloor just East of Lansdowne last night. This is the third gallery to open up on the strip. Some people are (prematurely I suspect) dubbing Bloor and Lansdowne the new West Queen West.